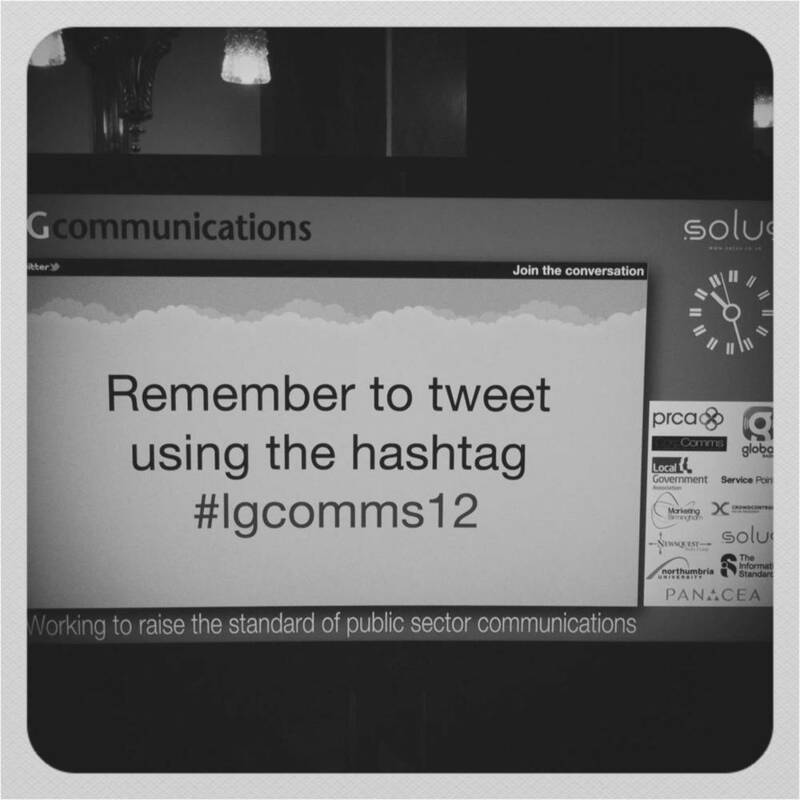 Day three of the LGComms event in Birmingham, and there was still plenty to ponder and, even better, learn from. Whether it was starting the morning being dragged into the light with a statathon on local government reputation, through to how tweeting plastic ducks are getting young people into golf, it was quite a spread. The theme for the day was ‘evaluation communications – understanding audiences’, which, clearly, is key if you want your hard work to serve its purpose. It was also, sadly, the end of this year’s event, which new LGComms chair Cormac Smith claimed to be the best one yet. It’s also been the second largest. Anyway, here’s 25 things that, for one digital reporter anyway, were worth immortalising in blog form. 1. Without a shadow of doubt whatsoever, we comms bods are scientists, not artists. The main problem for us local government comms bods is that we’re seen as fluffy artists in a profession that loves processes and qualifications. 2. 70% of residents across Britain are satisfied with how their local council runs things, but only 45% think those councils take residents’ views into account. 3. Satisfaction with councils seems to be driven by how well informed people are, how efficient the organisation is and…street cleanliness. 4. The LGInsight poll shows that councils are really good at collecting bins – win! 5. It is possible to go to a conference with a whole case full of different types of tea, and only one choice of coffee. 7. People have views on council services, even if they don’t use them. 8. Because I was born in 1985, I am a digital native. 9. That Neil Wholey had plenty of good stuff to say – hear him say it for yourself on this Audioboo. 10. People are now more willing to complain; in 2001 it was 50%, but that rose to 75% in 2010. 11. There is an epic, beautiful glass corridor inside Birmingham City Council’s HQ, but you could quite easily walk right past it without noticing. 12. The UK is a service economy, therefore world class customer service really does matter. 14. If you and your residents would normally call a household waste recycling centre a tip, call it a tip in your comms – simples. 15. People who don’t get what they want following a consultation will claim the consultation was a sham. 16. Understand context – all your good comms work could be lost when the final product appears in a real setting. 17. Employee engagement is a good excuse to do brand well, and vice versa. 18. Tim Seamans from Lancashire County Council is really good at creating brand personalities. So good, he was able to come up with one for LGComms, just like that. Hear him explain it on this Audioboo. 19. Birmingham Museum and Art Gallery was the first in the UK to join Pinterest. Find them here. 20. Reputation is not about making people love you – it’s more than that. It’s also about trust, improved services, value for money and changing lives for the better. 21. Got the Olympic Torch Relay coming to your area? Make sure you clean the streets up quickly afterwards – your reputation will thank you. Westminster found this after the Royal Wedding in 2011. 22. A good reputation has to be earned and tracking it can improve the organisation. 23. Your social media accounts are key assets for your brand – make sure they are secure. 24. Plastic ducks on social media can help get 16-24 year olds into golf – they’re on twitter, run blogs and have a Facebook page. They may also have convinced the new chair of LGComms to give this Twitter thing a go. 25. An unconference element next year would be ace. Dave Musson is a Senior Communciations Officer for Solihull Council. He’s @davemusson on Twitter.